Viswanathan Anand suffered his third defeat in four games as he slipped further in the London Chess Classic tournament. 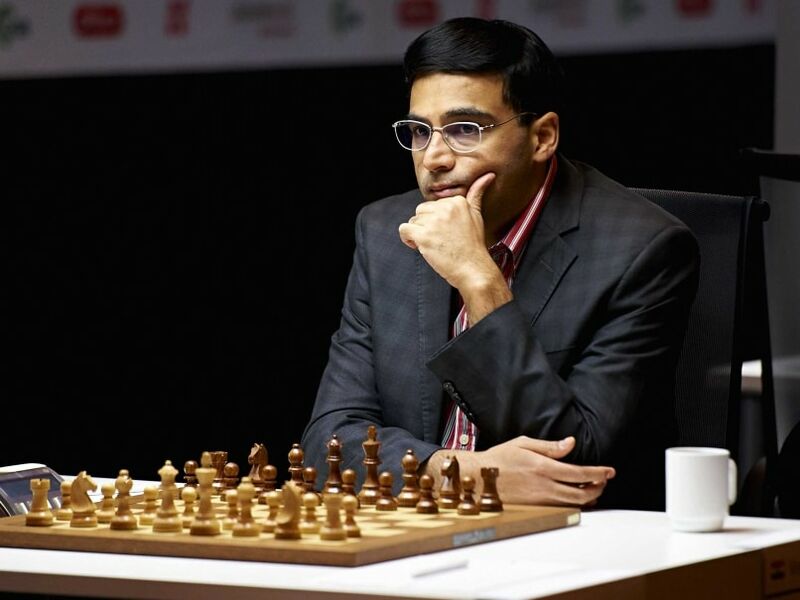 Erstwhile sole leader Anish Giri had to be content with another draw with Fabiano Caruana of United States, while Michael Adams remained impregnable with his defense and signed peace with Alexander Grischuk of Russia. "I feel like I played quite well today; at the same time I don't think it should win any beauty prize," said Vachier-Lagrave adding, "The final combination was nice but there were a lot of mistakes and oversights throughout the game." The Frenchman was optimistic and cautious at the same time, "Of course to be leading two games before the end, it's a good feeling, but the standings are close so I need push again in the last two games to win the event," he said. Carlsen won in his typical style -- grinding down Nakamura in a long-drawn affair. The opening was not so relevant and when the endgame arrived many predicted a long and tense struggle.